Siriki Dembele should be back in action for Posh against Southend. Peterborough United expect to have exciting winger Siriki Dembele back in the squad for the visit of struggling Southend to the ABAX Stadium on Saturday (March 23). 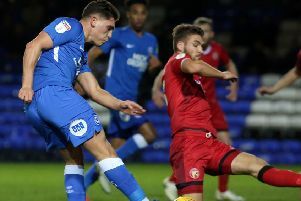 The 22 year-old hasn’t played since damaging ankle ligaments in the 1-0 home defeat at the hands of Plymouth on February 2, but has looked sharp in training. Joe Newell is a graduate from the Posh academy. Dembele won’t be risked in today’s (March 19) under 23 game against Bristol Rovers to ensure he can take part, probably on the substitutes’ bench. against Southend. Only George Cooper and Darren Lyon from the senior squad are expected to play against Rovers. Ferguson has confirmed he will shuffle his playing pack for the Southend game. Lee Tomlin can expect to start and Ryan Tafazolli should return to the squad after missing last Saturday’s defeat at home to Coventry because of illness. 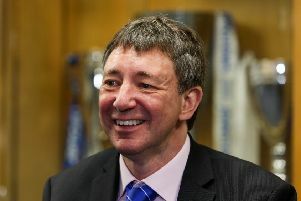 Ferguson met with Posh co-owner Dr Jason Neale yesterday when the club’s new policy of supplying at least three Academy graduates to the first-team squad every year from 2024. And Ferguson is a fan. “It’s a great idea and tripling the Academy budget shows the club are serious. It’s very sensible for clubs of our size to invest in youth. I’m always happy to play youngsters, but apart from Jermaine Anderson, Leo Da Silva Lopes and Joe Newell I can’t think of many who have come through lately.